There has always been something about the Cadets that screams "AMERICANA," from the classic West Point-style uniforms to the decades of tradition and excellence which helped push the activity forward into new and exciting realms. 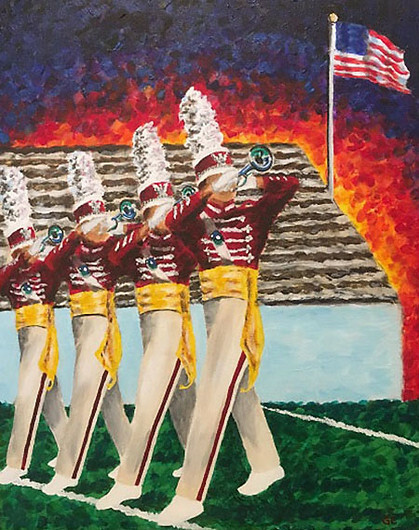 It has been my honor to pay tribute to this iconic American corps in a pseudo-impressionistic style. It would be an ideal gift for Cadets members or alumni, or for any passionate drum corps fan. It’s acrylic on a 16” x 20” canvas and I’m selling for $250. If interested, or if you know someone else who may be interested, please send me a private message. Thanks!